Zika-carrying mosquitoes are a global scourge and must be stopped. Now is the time to wipe the disease-carrying critters off the face of the Earth. “The level of alarm is extremely high,” said the head of the World Health Organization on Thursday, describing the spread of Zika virus around the world. As well it should be: The disease, which seems likely to be causing birth defects, could affect millions of people in several dozen countries. And the virus may be on its way into the U.S. As of Friday morning, no fewer than five New York residents have been diagnosed as Zika positive. But New Yorkers, like everyone else in the United States, can take solace in two simple facts. The first is that Zika virus can’t easily be transmitted from one person to another. The second is that the bugs that carry the disease—in particular, two species of mosquito, Aedes aegypti and Aedes albopictus—are not very active in the winter, and do not pose a major risk in communities with ample screens and air conditioning. According to the commissioner of New York’s Department of Health, “There is virtually no risk of acquiring Zika virus in New York State at this time.” Other experts, too, have told Americans that there isn’t cause to panic. So what’s this hotness in my face, this shortening of breath? It’s not panic, I assure you. It’s more like rage. I’m angry at this Zika epidemic, starting with the ratty little flavivirions that are doing so much harm. But to rail against the virus doesn’t make much sense. It has no animal intentions; it isn’t even quite a full-fledged living thing. My wrath is focused on a different target—not the virus but the vector. I hold a special reservoir of bile for the flying hypodermic needles that harbor this pathogen, the flies that shuttle it from one country to another, spreading bioterror in their wake. I’m mad at the mosquitoes, and it’s time to give ’em hell. Who would stand against me? Events of recent years—outbreaks of dengue and chikungunya, the continued devastation of malaria—have not done much to burnish the mosquito’s already-suspect brand. Indeed, these sweat-sniffing, bloodsucking parasites might reasonably be counted among the greatest fiends in human history. Consider the statistics: Mosquito-borne diseases kill hundreds of thousands of people every year. Malaria alone claims the lives of 6 million people per decade, mostly small children. The economic costs are similarly staggering, likely in the tens of billions of dollars every year. When researchers totaled up the losses caused by a single mosquito-related illness (dengue fever) in a single mosquito-ridden country (Brazil), it came out to $1.35 billion annually, not including the $1 billion that must be spent to control the spread of dengue-infected flies. You might’ve thought that news about the Zika outbreak would have convinced humanity to crush the mosquito. But all we keep hearing are proposals to take the battle to the virus, not its host. We’re told that scientists must work hard to find a new vaccine, as if that would be the best solution to the problem. The hunt for a Zika cure could take a decade—and in the meantime we’re left to wait and watch swarms of evil on the wing, mating in midair, and landing on our shores. An enemy has made its way to the nation’s borders. Now is not the time for soft responses. It’s time to kill all the mosquitoes. It’s time for mass mosquito-cide. So they hedge their bets and do their best to strike a balance between mosquito death and ecosystem health. They use what’s called “Integrated Mosquito Management,” a euphemism for doing lots of little things at once: keeping track of where mosquitoes breed, spraying them with chemicals, fixing broken drains and picking up discarded tires, eliminating swamps. It’s all quite responsible and safe. One might even brand it ecologically correct. But the recent spread of arboviruses has me convinced that we can’t win this fight with our repellent-coated hands tied behind our backs. Enough of the politeness: The ugly situation on the ground does not call for Integrated Mosquito Management; it demands a program of Total Mosquito Destruction. And here’s the thing: For the first time in human history, that dream could be realized. We have a better way to kill mosquitoes—a nuclear option—but up until this point we’ve been too afraid to use it. So why haven’t scientists tried to use the same approach in the fight against mosquitoes? Actually, they have. The problem was that mosquitoes proved too fragile for the X-rays: Instead of turning sterile, the bugs just died. But in recent years, the sterile insect technique has been revived. One researcher, Luke Alphey, used genetic engineering to design a sterile strain of Aedes aegypti mosquito—the kind that carries Zika, dengue, and yellow fever. Alphey’s technique is very clever: The bugs hold a gene that kills them at the larval stage, unless they’re reared in the presence of tetracycline, a common antibiotic. That means it’s possible to breed large numbers of the flies in the lab, but when they’re released into the world, they cannot reproduce. In 2002, Alphey founded Oxitec, which would become the first company to deploy genetically modified mosquitoes as a weapon. Since 2010, the firm has performed field evaluations in Brazil, the Cayman Islands, and Panama. The treatment works like this: Oxitec employees drive a van around mosquito-ridden areas at five or 10 miles per hour. A bladeless fan propels genetically modified males out through a plastic tube, and then the bugs seek and interbreed with wild females. (At a test site in Brazil, Oxitec released 800,000 flies per week, for half a year.) According to the company’s head of field operations, Andy McKemey, each of these field evaluations has resulted in at least a 90 percent decrease in the local population. Officials in the U.S. would like to test the Oxitec approach. An incipient attempt in the Florida Keys, however, has run afoul of some locals, who worry over being guinea pigs in a Frankenfly experiment. Oxitec counters that its technique is both highly targeted (only one species of mosquito is affected) and self-limiting (if you stop releasing the GM mosquitoes, they quickly disappear from the ecosystem). Both sides of this debate seem wrongheaded. The risks posed by Oxitec’s mosquitoes are likely very modest, and in any case they must be weighed against the risks of spraying tons of poison. 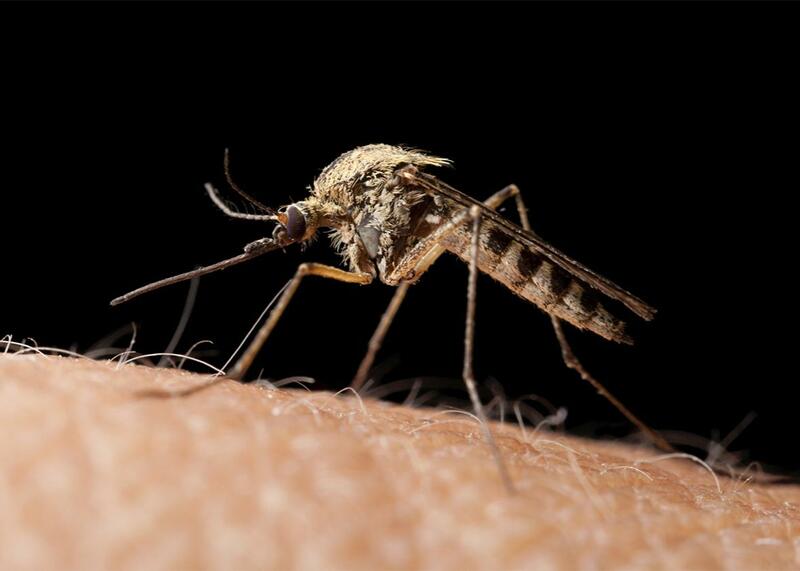 Then again, the alleged “benefits” of Oxitec’s approach—its specificity and its brief course of action—come off as yet another example of mosquito-friendly overcaution. When the field evaluations end, McKemey told me, the mosquitoes start “bouncing back” within six months. They may have been suppressed for a time, but they were not wiped out. Why not use the tools of biomedicine to launch a final, fatal blow? In 2007, Caltech’s Bruce Hay came up with a far more potent weapon: the gene driver. His approach would seed the local population of mosquitoes with lab-grown ones that contain a clever set of “selfish” genes, which tend to spread themselves and kill competitors. A technique like this could, in theory, overturn a wild population within a handful of generations, replacing every single native organism with one from the genetically modified strain. And that GM strain could also be engineered to have resistance to the malaria parasite, or the Zika virus, or any other pathogen that a given species of mosquito spreads. Or it could be engineered to have a special vulnerability. Then the engineered mosquitoes would die off all at once, in response to some external signal—a rise in temperature, perhaps, as winter turns to spring. These gene-drive techniques are so potent—so vast in their destructive potential—that it has been very hard for scientists to test them, even in large outdoor field enclosures. The concern is that a selfish gene will not just rampage through a local population but will spread to other areas, in the same way that GM crops have escaped into the wild. A poorly run experiment could decimate global populations, or even make them disappear. Instead of killing off some Aedes aegypti mosquitoes in the Florida Keys, you’d have killed them off around the world. And that would be … not so bad? Let’s imagine, for a second, that we could totally eliminate a species of mosquito—or even all 3,500 species that flit about on Earth. Would the global ecosystem shatter? The honest answer is that no one really knows for sure. There’s little evidence, though, that mosquitoes form a crucial link in any food chain, or that their niche could not be filled by something else. When science journalist Janet Fang spun out this thought experiment for Nature in 2010, she concluded that “life would continue as before—or even better.” I arrived at the same answer when I looked into the same question for a piece published three years later. “There’s no food chain that we know of where mosquitoes are an inevitable link in a crucial process,” one mosquito-control expert told me. We’ve wiped out lots of species in the past, of course, through our blithe indifference to the natural world. It’s tragic that we have no more passenger pigeons, or Tasmanian tigers, or quaggas. But the sky has not (yet) fallen. Ecotragedies should be weighed against their benefits—and the benefits of mosquito-cide would be enormous. Whatever its unintended consequences (and there are always unintended consequences), the elimination of mosquitoes would save billions of human lives and trillions of dollars, in the decades to come. It would end untold suffering among the world’s poorest people. And that’s just the most extreme scenario. The gene-driver methods only work on individual species, anyway, so let’s imagine that we could wipe out just a handful of mosquito breeds—the most unpleasant ones. What if we could press a button to destroy an invasive, deadly species like Aedes aegypti? What about the awful Anopheles mosquitoes, which transmit malaria and seem to have evolved as human parasites? If we got rid of these disgusting critters, wouldn’t everyone be better off? No one bit their nails when we cleared the world of polio and rinderpest. Should mosquitoes get special treatment just because they’re insects? Bah humbug. I put the same idea to Luke Alphey, the founder of Oxitec. “I am enough of an ecologist to be queasy about the idea of eliminating a species,” he said. Besides, these gene-driver approaches are still a long way off. “They’re really only lab models.” But what if we went after one of those species of Anopheles that thrive in human settings and seem to live to spread disease? “This would not be an unreasonable thing to consider,” he said at last, once I had badgered him sufficiently. Now, all we need to do is translate that not-unreasonable consideration into mosquito-destroying action.